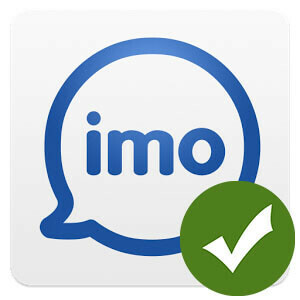 IMO is really great service with cool video call, chat and many others features. Unfortunately it is blocked in some countries like United Arab Emirates, Saudi Arabia. To enable IMO calls you can use VPN. Let me explain what is VPN for IMO call. What is VPN for IMO Call? VPN is virtual private network – a secured encrypted tunnel that masks IP address and helps to bypass all country’s Internet restrictions. Actually, there is no special VPN for IMO. You can use any VPN service that suits your requirements. How to Use VPN for IMO Call? You can use VPN on Android and iOS devices. It also works fine for Windows and Mac operating systems. Use IMO calls without any restrictions. 4, Input connection name (Sahrzad VPN), select the type of your VPN connection – PPTP VPN, input VPN server address from your account data.Please be carefully – don’t use any additional symbols like spaces, http://, www, / …etc in the server address. 5.Input your Username and password that you received from VPN account service in e-mail. How to Use IMO VPN on iOS? People often ask: what vpn should I use? The answer depends on your needs. For IMO in UAE and IMO in Saudi Arabia it is better to use special VPN for Middle East, like Sahrzad vpn. It is more safe and reliable than usual solutions due to strict countries’ policies.